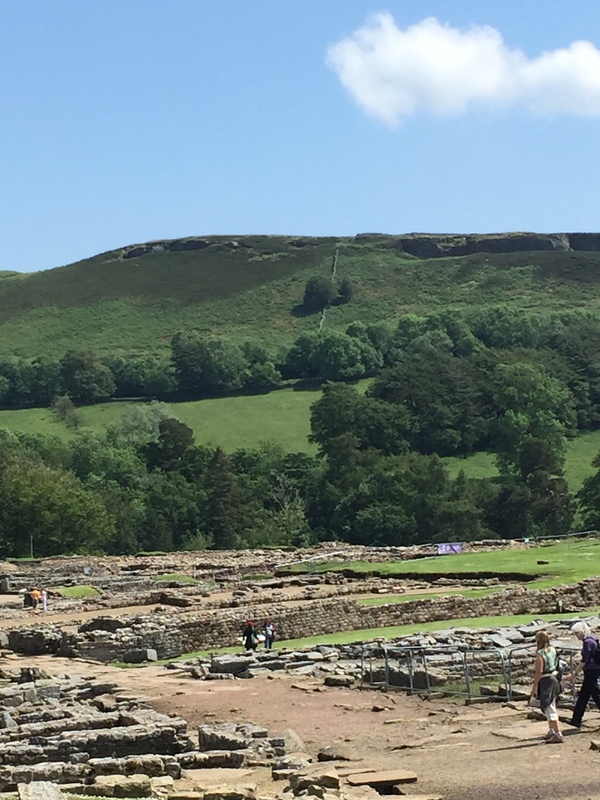 Sometimes you go to the ends of the earth – or at least as the Romans saw it. 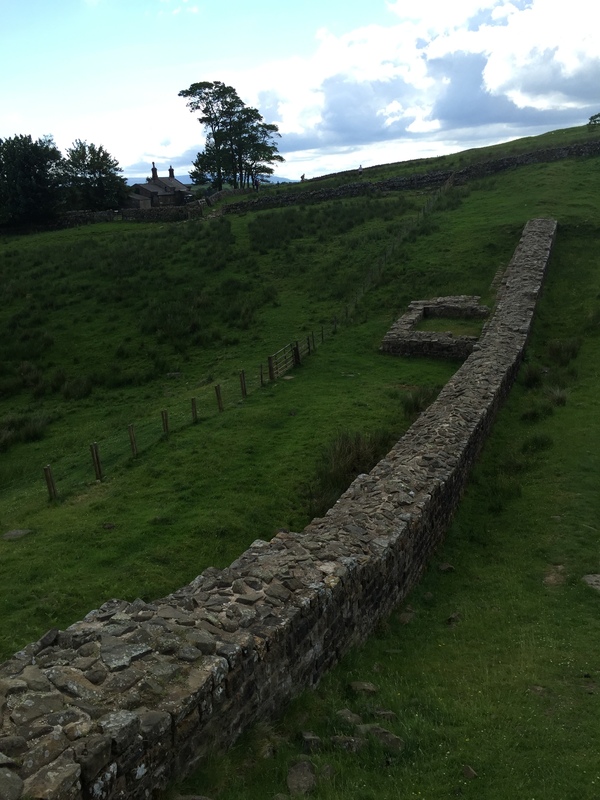 Hadrian’s wall was constructed in AD 122 as the northern boundary in the British Isles to the Roman Empire. Claudius started the invasion of Britain in AD 72, and by 122 most of England was subdued (to varying degrees). However, the Scots ( or more specifically the Picti then living in what would become Scotland) were proving troublesome. 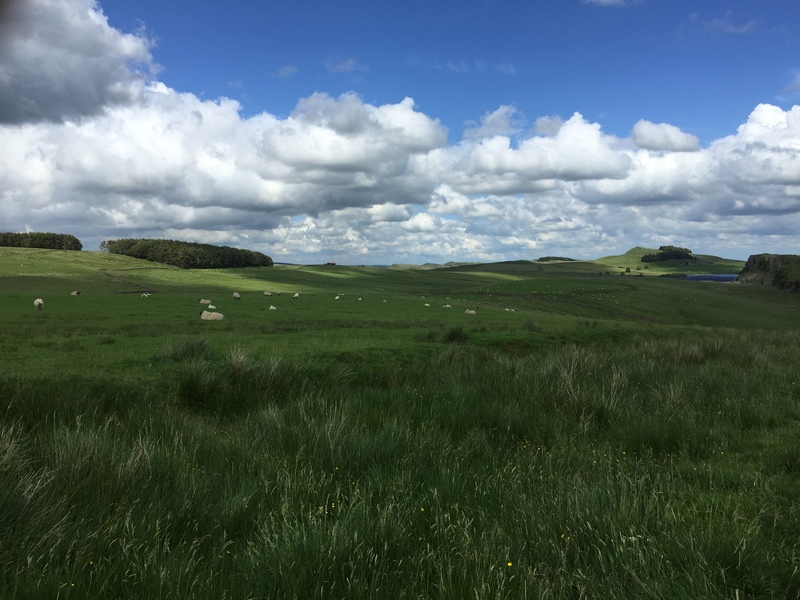 When Hadrian became emperor, he took a long look at resources available to the Roman empire, and put a temporary halt to expansion. 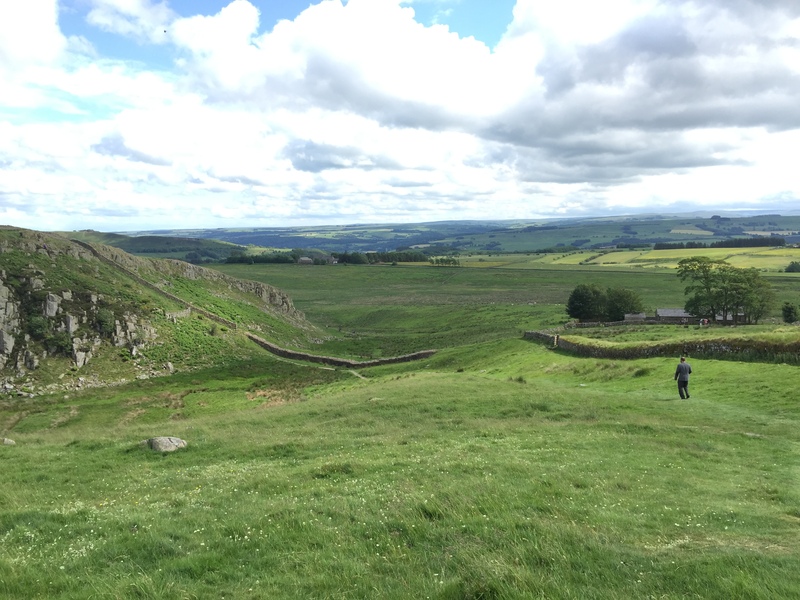 He literally built a line across northern England to keep out the “barbarians” to the north. 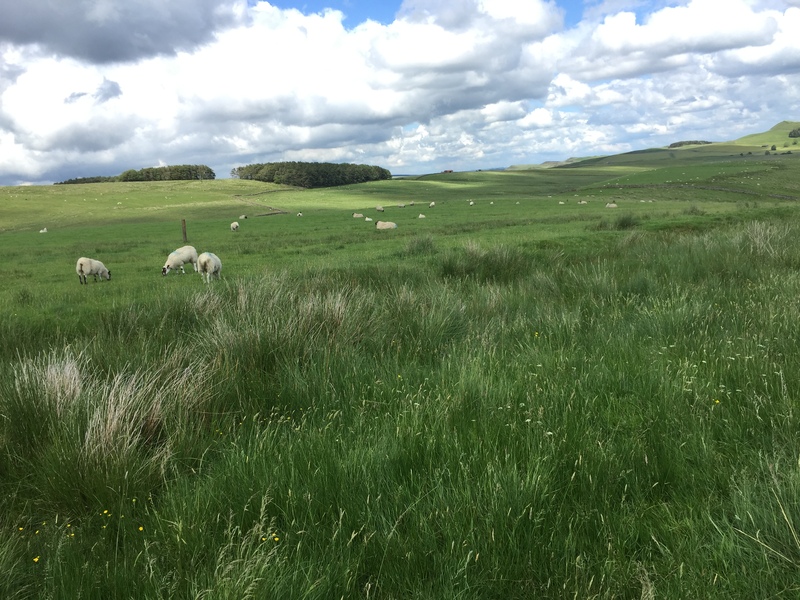 Under the slightly later emperor, Antoninus Pius, the boundary of Roman Britain was pushed further north. 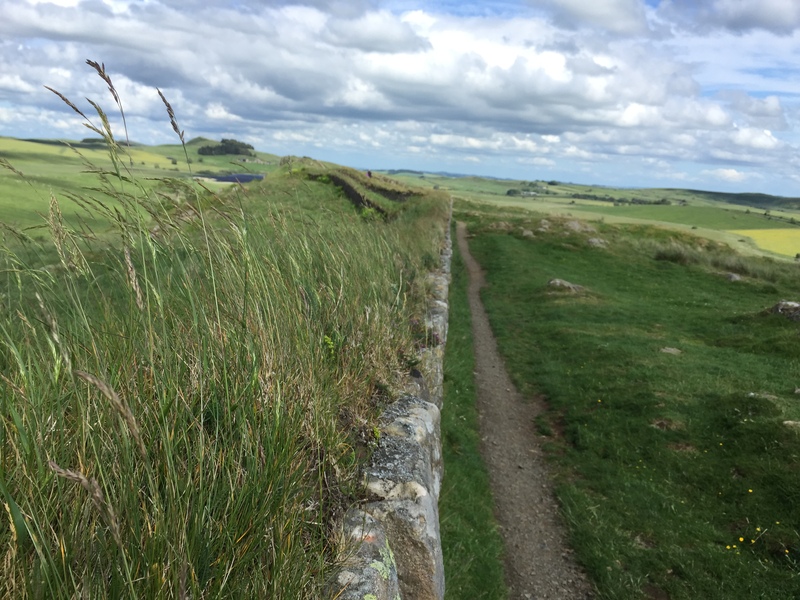 However it did not stick, and the Romans retreated to the previous boundary: Hadrian’s Wall. This line marked the furthest boundary of Roman civilization. 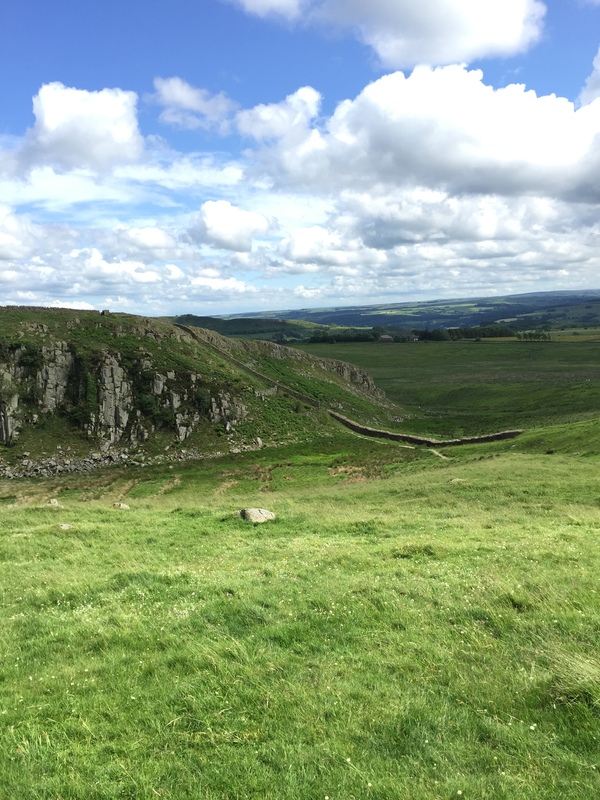 To get to Hadrian’s Wall, we took a train south from the land of the barbarians into what was once Roman territory – Northumberland, England. 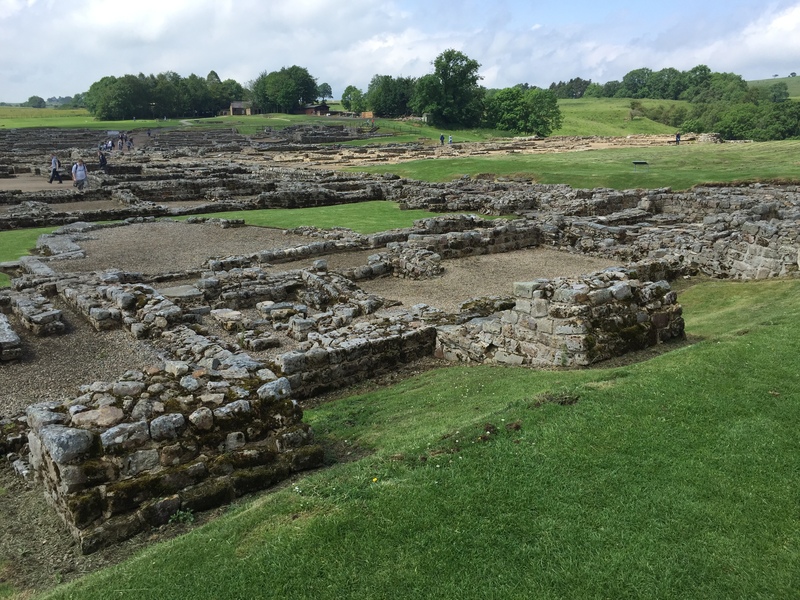 After an unexpectedly long (and bug filled) Roman style march, we made it to a Roman Fort, vindolanda. This major fort was set back from the wall. 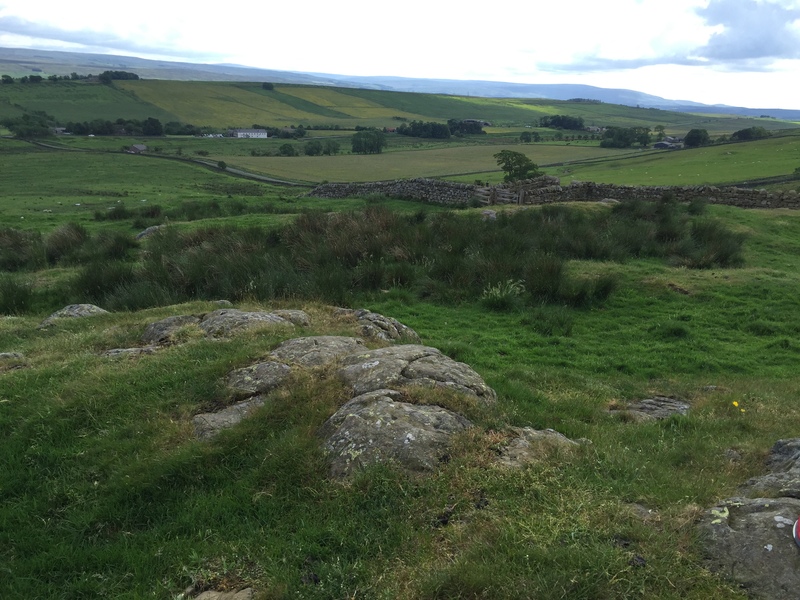 Roman legions camped here could get to any local point on the wall where a fighting occurred. 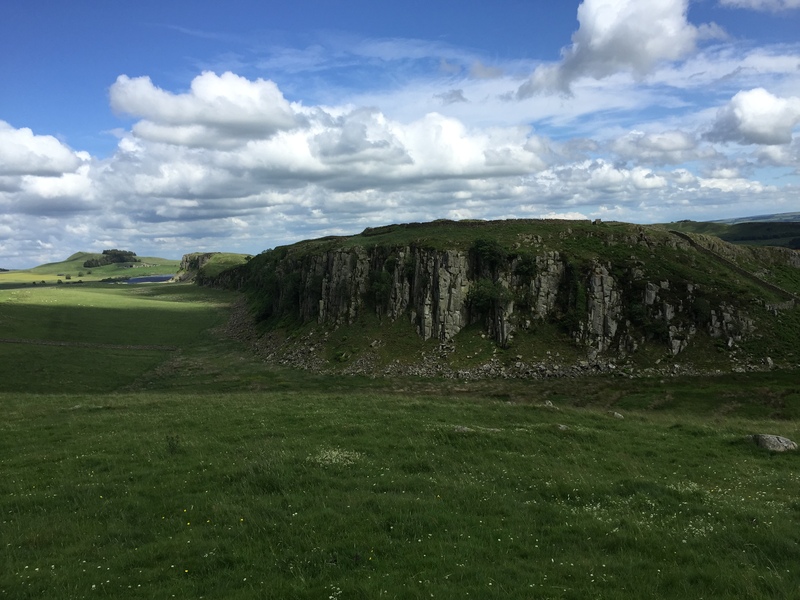 A Roman military settlement occupied the site from the earliest days of the Roman empire in the area, but the fort itself largely dates from the time of Hadrian’s Wall – with a few interesting changes. 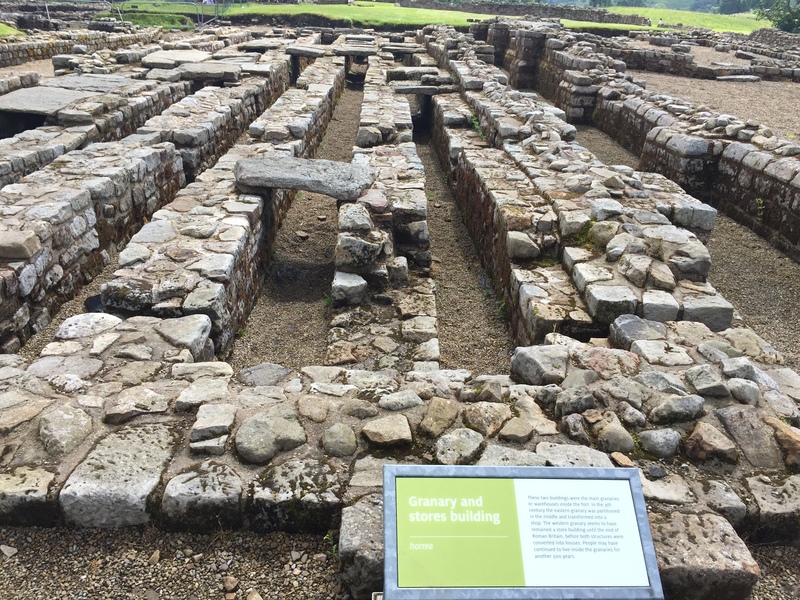 This section would have originally been the granary, storing food and supplies for the Roman military. 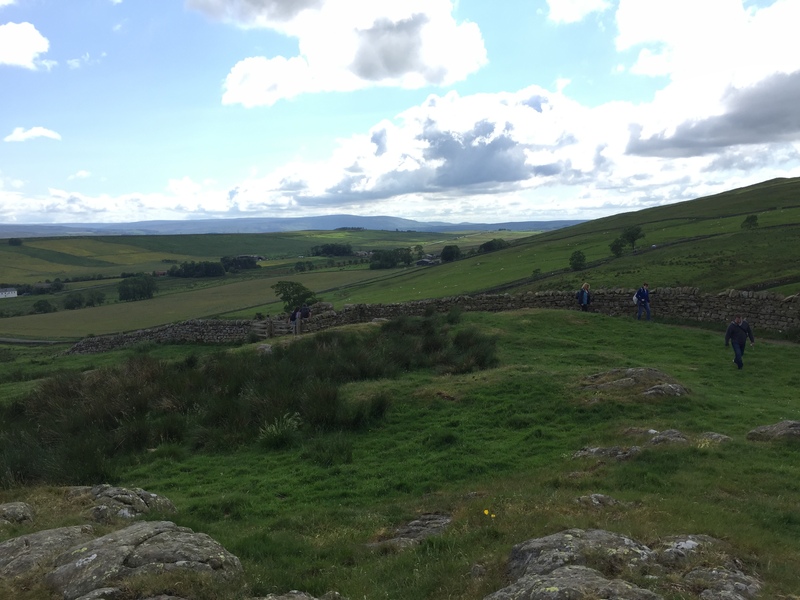 As Rome began to withdraw from the British Isles, the town which had grown up around the fort moved inside the walls of the fort itself. The granary shows evidence of being broken into smaller houses during this era. 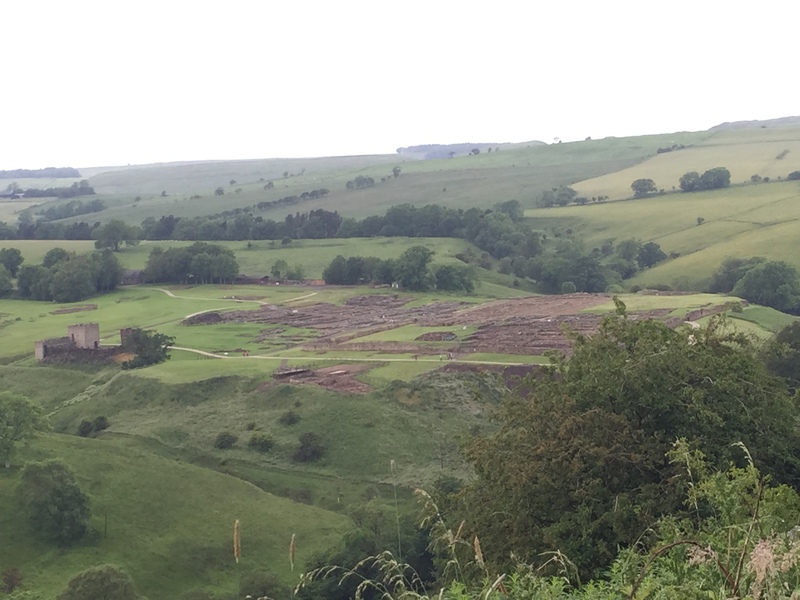 The site also contains weird changes from the era of Septimus Severus ( a later emperor) with rounded buildings and walls – which would have been very unusual for a Roman fort. It was shortly after these weird changes that the town moves inside the fort itself. After what should have been a further hike (we took a cab), we made it to what is left of the wall itself. 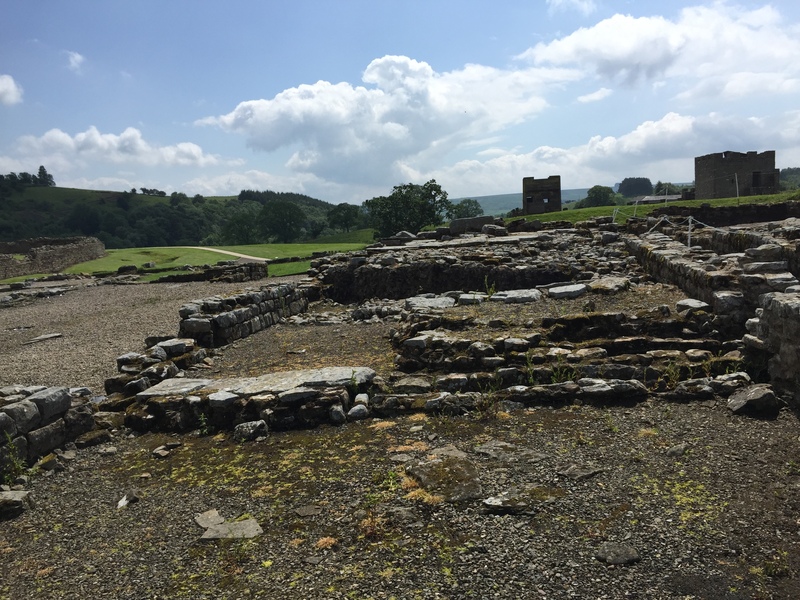 Turns out the Romans’ were quite good at this whole engineering thing. The wall not only clearly uses the shape of the land to help fight off the barbarians, but also goes straight up a (turns out) steep hill. Good luck with that hill, barbarians. 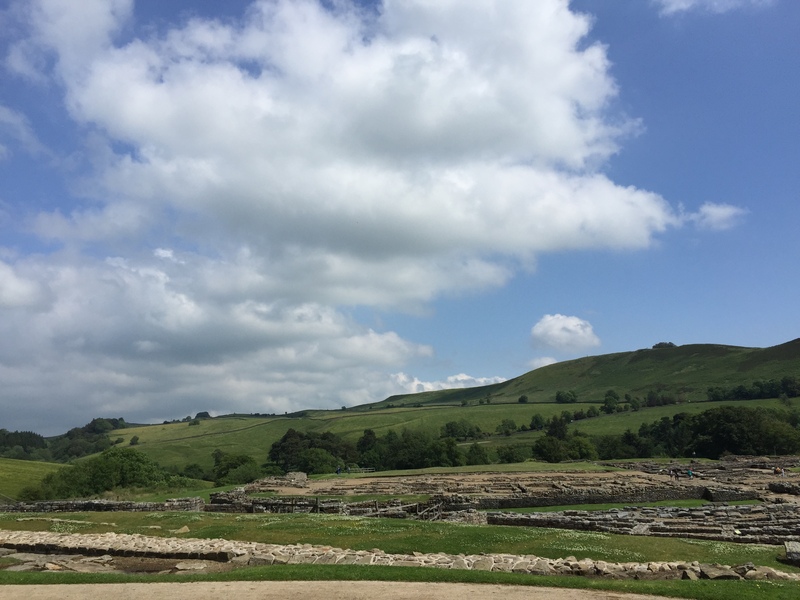 While the Romans and the Barbarians may not have been there to enjoy the view – it wasn’t half bad. 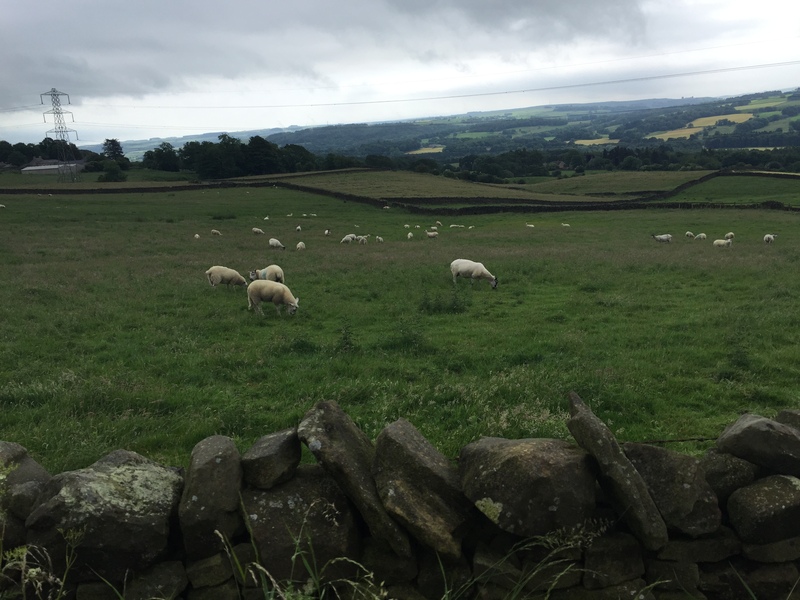 These days the wall no longer acts as a imposing barrier between the Romans and the barbarians – it just mildly inconveniences so more damn sheep.